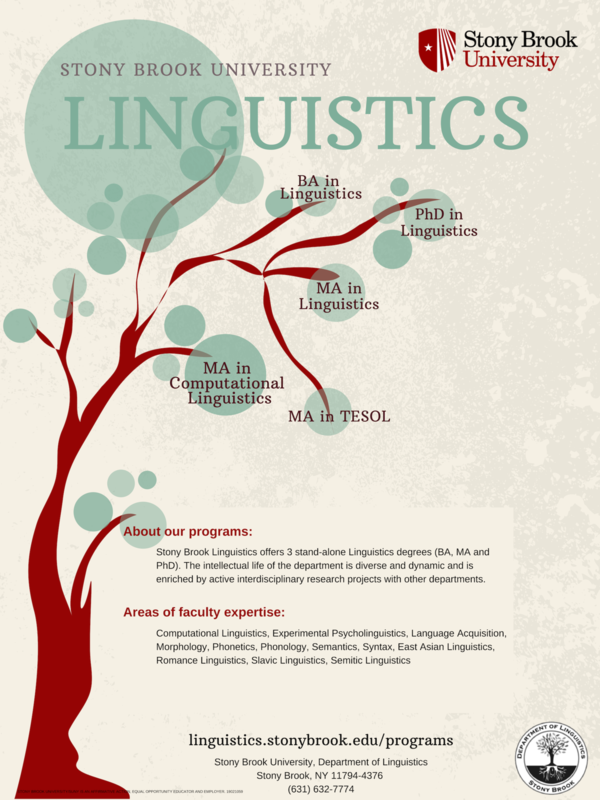 Stony Brook Linguistics is one of only a few departments that offers 3 stand-alone Linguistics degrees (B.A., M.A., and Ph.D.) and 2 degrees in TESOL and TESOL Certification (B.A. and M.A.). It also provides an MA program in Computational Linguistics starting from Fall 2018.